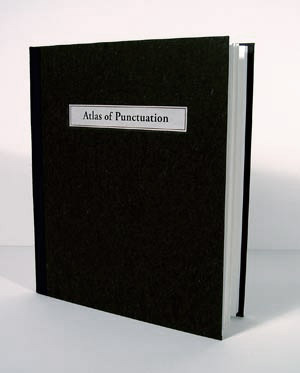 Atlas of Punctuation, 2004. 9.75 x 8.5 x .5 in. Letterpress printed, edition of 100. 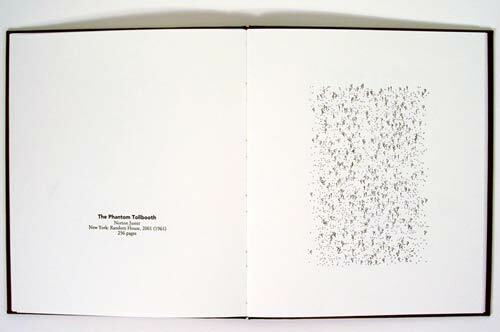 Atlas of Punctuation displays the distribution of all end-of-sentence punctuation found in fourteen books. 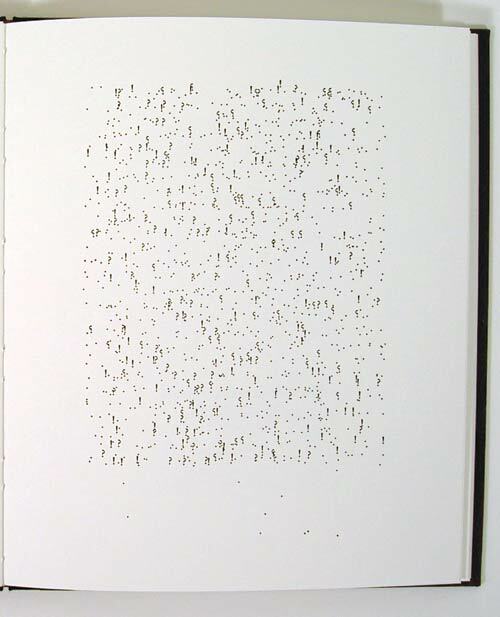 The punctuation for each book is consolidated onto a single sheet, representing in one plane the coordinates of all the verbal boundaries of the book. 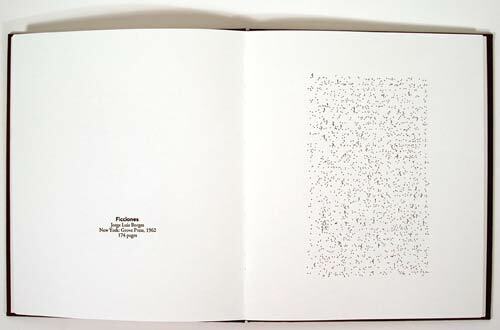 The books represented in Atlas of Punctuation are literary classics that convey qualities of space and scale. Created with support from Women’s Studio Workshop. Visit the shop for more info about buying and a list of works available.